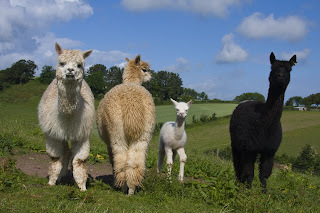 Apple Vale Alpacas: 4 days to Glastonbury Festival! 4 days to Glastonbury Festival! 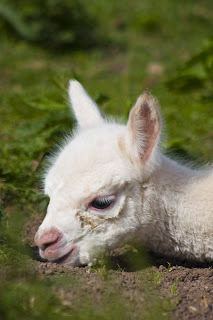 Ambrosia is doing well darting around, pronking, annoying her aunties, and as she came on time, mother Minnie is allowing me to go to Glastonbury Festival this weekend - I've checked the tent today, though I'm disappointed to report that the gazebo which I had erected for shade for the alpacas wasn't needed this week, though the hot weather is coming next week, but worse than that, strong winds on friday flipped it over the fence folding it up neatly, but irrepairably! Ambrosia looks big now! Have a good time at Glastonbury! !